Term 2 at IIM Bangalore was unique in ways more than one. 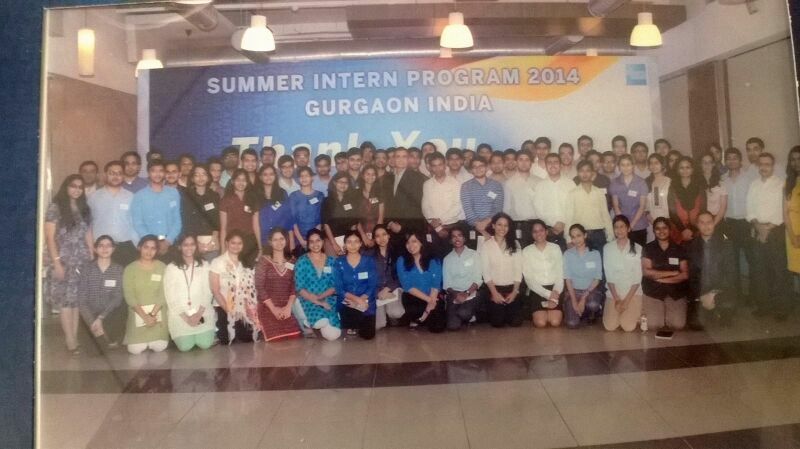 But what made it truly memorable was the Summer Internship Process (SIP) which went on for a week in November, 2013. Being a male engineer and that too a non-IITian, with no previous work experience, I realized that I was one of the many plebeians who might not land a Day Zero placement. Therefore, as the interviews were approaching, the palpitations in my heart gained momentum! Finally the moment of truth arrived and the companies started to make their way into our campus. After spending the first day in the common pool waiting and watching the top consultancy firms and banks have their fill, I was determined to make my presence felt during the Group Discussions that were to happen the following day. 7th November, 2013 saw me go through the GDs of eight different companies and when I finally hit the sack at around 12 that night, I had three shortlists – American Express, TAS, and MH Alshaya & Co. Next morning, Amex was the first company to call me and incidentally I was the first candidate that they were interviewing at IIM Bangalore. God’s grace aligned with my resume points and after a twenty minute-long interview, I emerged victorious! Within a blink of the eye, time flew by and suddenly it was April, 2014 – time to pack my bags and head to Delhi for the next two months. I had received communication from the HR at Amex that I would be working out of their Cyber City, Gurgaon office. As I boarded the Indigo flight from Netaji Subhash Chandra Bose International Airport, Kolkata, I realized that I was riding high on excitement and expectations. A whole new world was waiting to be explored and was beckoning to me with a lot of vigour. With such thoughts in mind, I began my internship on the 9th of April, 2014. Now, Amex is an organization that really looks after its employees, irrespective of whether they are permanent or interns like myself. Though I was staying in Dwarka with my cousin’s family, which was quite some distance from my office, I always got an air-conditioned cab to pick me up and drop me off – and in Delhi’s sweltering mid-forty temperatures that sure was a boon! Hence, I never had to worry about transportation and could focus unhindered on work. Timings were sacrosanct – you begin work at 8:30 in the morning and do not stay back after 5 in the evening. Within the first few days, I drew up a working methodology plan to add some structure, with the help of my mentor. It is then that I realized that the most challenging aspect of the project would be sourcing the customer data from the team which handles it. This is because American Express has a very strict confidentiality policy and they go to great lengths to protect the privacy of their valued Cardmembers. It did not take me long to realize that without the required data the succeeding stages could never be reached, because how can we suggest recommendations without knowing who they are targeted at! After lengthy meetings with my Manager and the rest of team about how to tackle the issue, we came to the conclusion that we needed to pitch to the higher-ups who can pass on the data to us, and convince them about the value-add that the project would have on the organization’s P&L. Thus, began hours of making decks and tailoring them to suit their audience. After numerous such presentations and Q&A sessions, we finally got the approval and the process of data transfer was set rolling. Thus, I conquered my first big corporate challenge! I must confess that though it got a bit hectic and demanding at times, I was always well-appreciated for my perseverance. But let this not give the impression that Amex is an all-work-and-no-play kind of an organization. The employees make sure that they let their hair down once in a while and we as interns, were never excluded from it. In my two month stint, I was invited to one house party and a host of team lunches. It was almost an unsaid rule at Amex that you don’t carry your meals to office on Fridays because invariably you would be going out to eat! Birthdays are also celebrated with a lot of gusto. Cutting a cake, feasting on refreshments, singing the ‘Happy Birthday’ song at the top of your voice – it is all part of their culture and everybody indulges in them, irrespective of their designation. Hence, what I found extremely enjoyable was the feeling of camaraderie that existed between one and all. I could always approach a person there without any hesitation and discuss some concept or gain clarity on the company’s business model – never was I turned away. There was plenty of laughing, joking, back-slapping – but there was also pulling-up-your-socks and working hard. 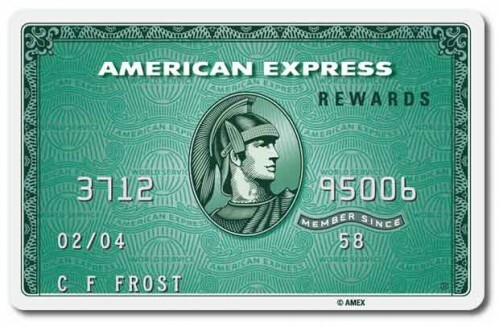 American Express, to me, stood as an epitome of the ‘Open-Door’ culture. With my Final Review presentation on the 4th of June, 2014, my internship drew to a close. My joy knew no bounds as my project had been rolled out and was live now. As I was completing my ‘off-boarding’ formalities in office, I tried to reflect on the last two months and understand how they had impacted me as a professional; as a person. What struck me the most was the kind of confidence they have in their interns. I was always encouraged to speak at team meetings and share my views with everybody. I was asked for feedback on other people’s work and was given full freedom to interact with external partners of Amex. And it is not that I did not make mistakes – but their ability to absorb the mistakes and behaving as my safety net below was something that enhanced my respect manifold for the people who work there. The two months really helped me evolve as an individual and gave me an in-depth knowledge about corporate etiquette and organizational nuances. As I walked out of Cyber City Building No. 8C one final time on the 6th of June, 2014, I realized that I had now completely understood why American Express is consistently ranked in the top 3 Great Places To Work.